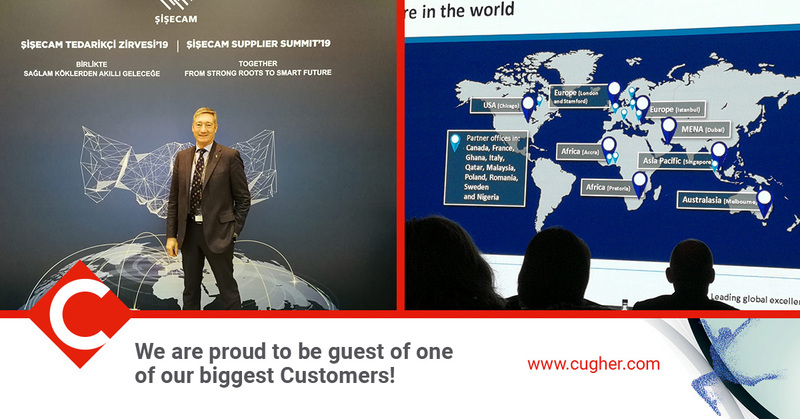 To deliver quality means to identify the needs and expectations of our customers and to satisfy them, providing the best solution: our mission is to become a trustful technological partner to our customers, able to meet any current and future need. Maintaining this position requires continuous innovation of our products and services. 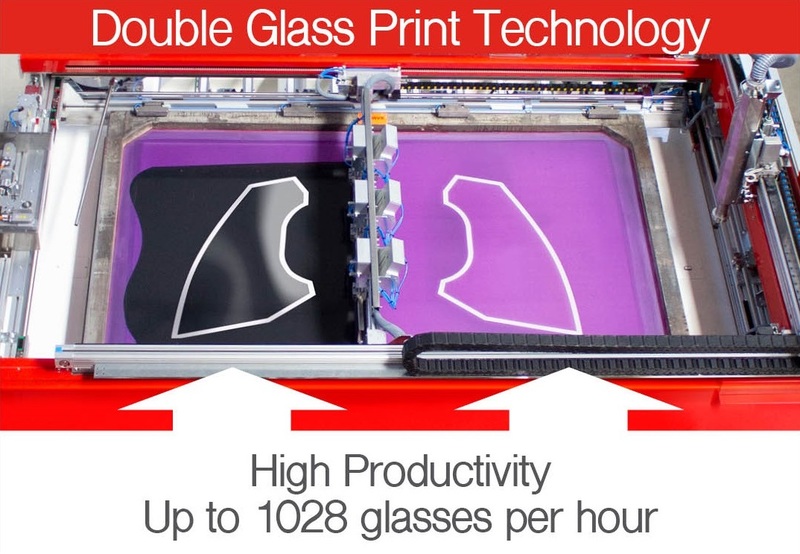 We do this with maximum attention to safety, guaranteeing highest quality standards. The capacity to deliver quality consists of different components, the excellence of the management system adopted by Cugher, the job attitude of employees, the corporate values and the way everyday operations are handled. For us, Cugher quality is not a simple adjective to put next to our products, but a circular path that embraces all company processes. All Cugher employees are involved in the process of continuous improvement through practical examples and training. A team of key figures for each business function, led by the Quality Manager, identified and analyzed the specific needs of the company with respect to the market. The result of the round table was the creation of Cugher Quality Manual. 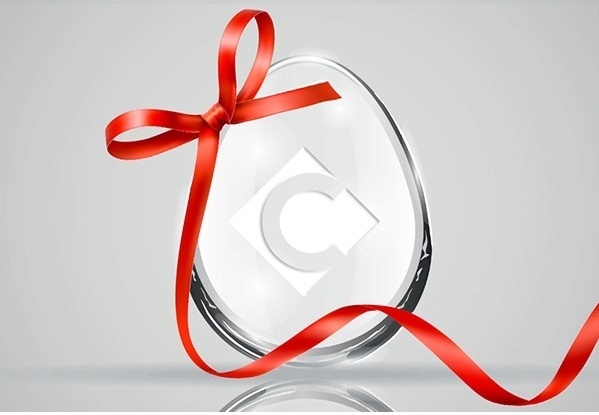 The successful cooperation between all Cugher departments and the Quality manager, led to the complete integration of the Quality management system within the company activities. New operating procedures were created and the existing ones were revised and updated. New protocols and modules for simplified monitoring and improvement of the information flow exchange with partners and stakeholders were implemented. 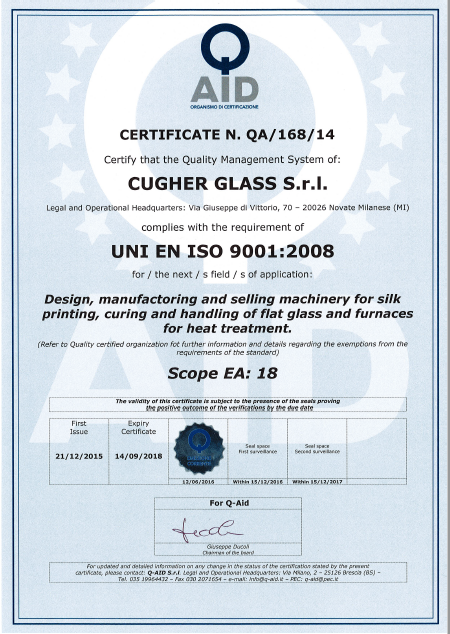 In 2014 Cugher has continued the work started in 2009, integrating ISO 9004 : 2009 system, with the scope of achieving long lasting success and complete customer satisfaction. 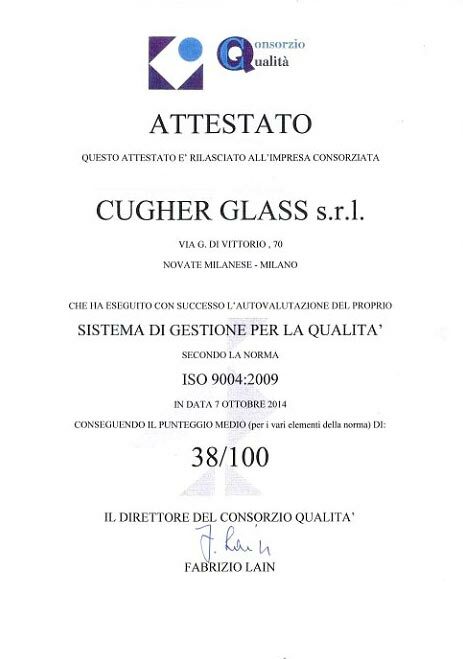 Cugher was among the first Italian companies to carry out benchmark studies with other Italian players, employing “Benchmarking and Best Practices” tools provided by the Assolombarda Quality Consortium.